Find your ideal tech-stack and also suggested tools to get a stable and collaborative IT stack. This poster gives you a blueprint for a modern IT Management Stack. 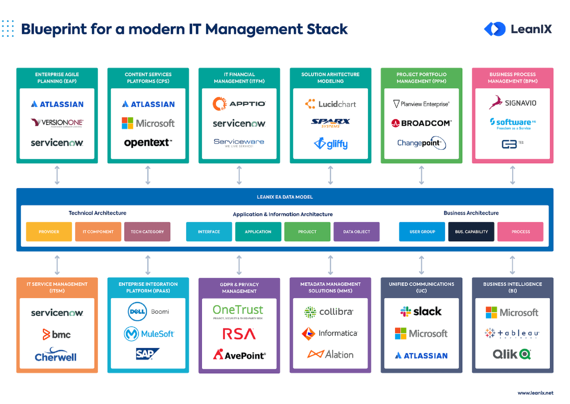 We have proposed a best practice IT Management Stack, as well as the main responsible role for each part and selected tools to manage each stack. Of course, one of the main issues when creating an IT Management Stack is to figure out how to integrate them all with each other. For this, we have added preferred information flows for each stack. Just fill in the form to get your IT Management Stack template and selected tools poster.